Charles Patrick Duffy was married to Alice from Palatine Villas, Rainhill Road. In the war, he became a sergeant and sent long letters home from Egypt. One of which is in the possession of his grandson, Ken Ball. 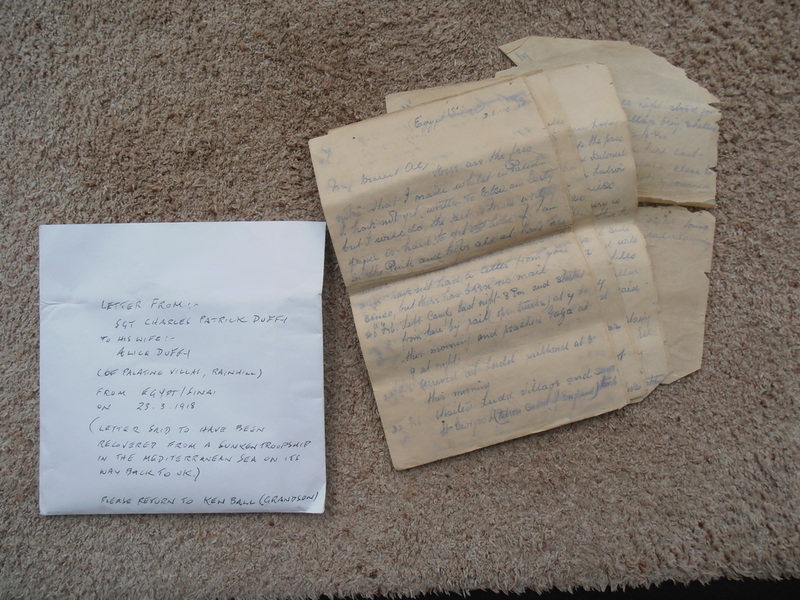 Letter sent from Patrick Duffy who was in Egypt in 1918 to his wife Alice.